Our Children’s Writers and Illustrators Group (CWIG) is a professional community of writers and illustrators who create content for the children’s publishing market. We get together regularly for conferences, events and socials. We campaign as a group on issues of specific relevance to us, as well as raising the profile of children's books more generally. Read about our campaigns. While a democratically-elected committee directs the work of the group, the day-to-day administration is dealt with by the Group Secretary, Jo McCrum. CWIG events give members plenty of opportunity to socialise and network with industry professionals. Speakers at events include publishers, librarians, booksellers, reviewers and many distinguished writers and illustrators. We are corporate members of the International Board on Books for Young People (IBBY UK) and we support the Children's Media Foundation who are dedicated to ensuring that UK children have the best possible choice, range and quality of media available to them. Want to get the CWIG newsletter with regular news and features? Contact Jo McCrum to be added to the list. We have recently established a CWIG Facebook Discussion Group and members are welcome to join. This group is set to 'closed' and is only open to CWIG members. This means that nobody can see what you post except for your fellow children's authors and SoA staff. For any queries which require immediate or specialist advice please directly contact our advisors on info@societyofauthors.org, or call the office on 020 7373 6642. 'The library at Calthorpe Park School is a warm welcoming space and one where pupils and staff are clearly comfortable visiting. Librarian Paula Ward’s love of books and reading is infectious. 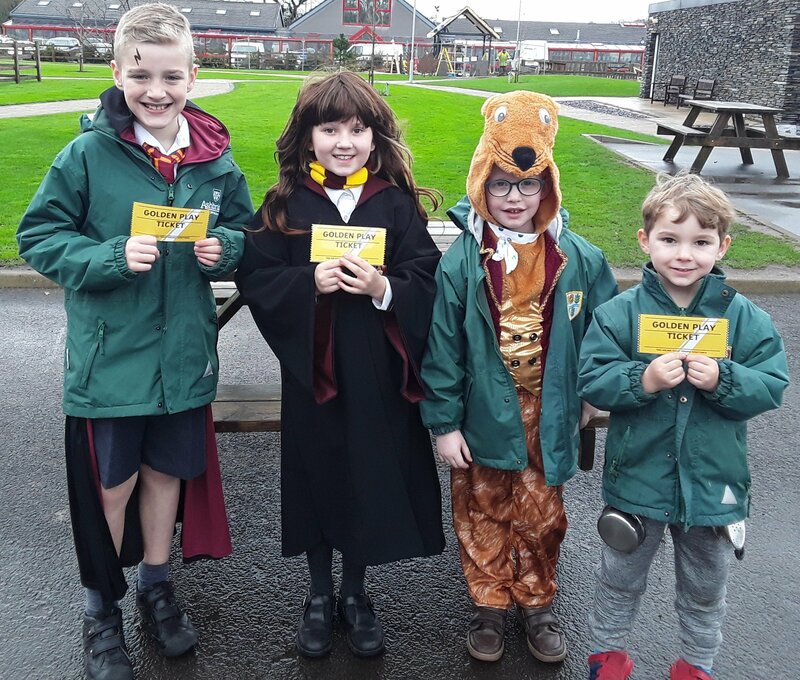 She is always looking for new ways to engage all pupils, be it with competitions such as word of the week, author visits and getting pupils involved with shadowing book awards and other events. Paula works closely with the feeder schools and this year she tripled the participation in her book reading challenge, for the upcoming year sixes. See here for our awards archive. Bear in mind that: three awards can be given any time before 14 August 2019 (or for an additional four months for those visits done in a summer term); awards can be given to any educational establishment for under 18s that shows excellence anywhere in the world; you must be an SoA member, and have visited the school this school year over September 2018-July 2019. There is no limitation on the number of awards one school can receive. Read the latest report from the current CWIG Chair, Shoo Rayner, given at the most recent CWIG AGM on 7 December 2018. The March CWIG e-robin has been sent out to members. Missed it? Catch up here. A report from the outgoing Chair, Nicola Morgan, as given at the November 2017 CWIG AGM. Monday 10 June 2019 – How to Present Your Picture Book with Cat Weatherill - 10am to 5pm, Bedford Row, London, WC1. Thursday 13 June 2019 - From Tots to Teens – How to reach out to those buying books for children with Penny Goodhart, Rosemary Hayes and Gillian McClure. 6-8pm, Bedford Row, London, WC1. Tuesday 2 July 2019 - Afternoon presentation with Hilary Murray-Hill and other Hachette imprints, Hachette Offices, London. Details tbc. Saturday 21 September 2019 - CWIG Day Conference, 11am to 6pm, Bedford Row, London, WC1. Keep checking this page (and the CWIG newsletters) as we will post save-the-dates as details are confirmed. We send notification about our events via email only. Please remember to let us know if your email address changes. An Awfully Big Blog Adventure The ramblings of a few scattered children's authors. Author Directories Authors and illustrators looking to do more school visits might want to have a look at our list of Author Directories. Best Author Blogs The Internet Writing Journal's list of the Best Author Blogs. Girls Heart Books A daily blog from some of the UK and Ireland's leading writers for book-loving girls aged 8-14.